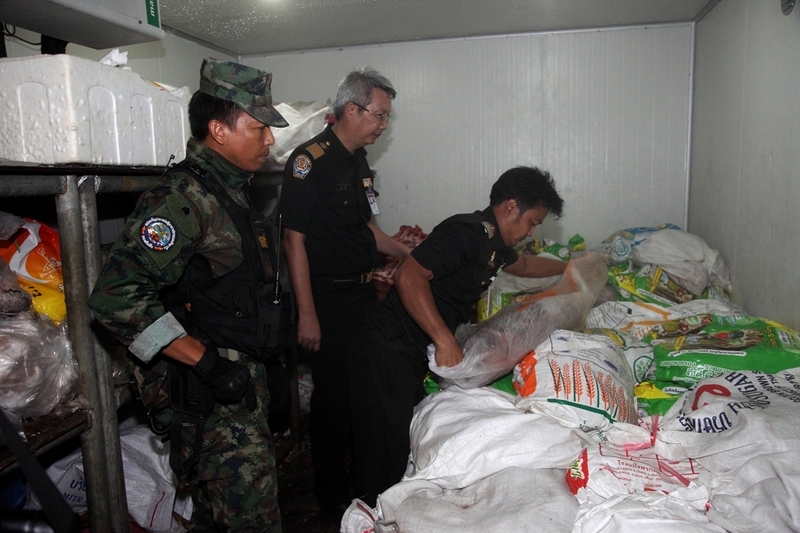 PHUKET: Two tons of meat were seized when Royal Thai Navy troops raided a beef cold-storage facility north of Phuket Town yesterday (June 26). 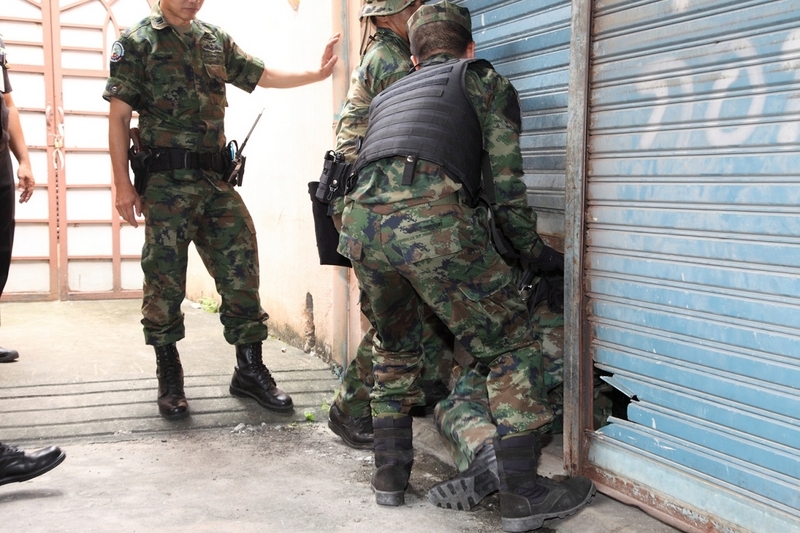 Acting on a tip-off, 25 officers carried out the raid, on a house in the residential area in Soi Siangtai in Rassada. Among the raid party were Navy personnel led by Lt Sompop Kamkana, meat inspectors and police led by Phuket City Police Deputy Superintendent Lt Col Koondet Na Nongkai. At the back of the house, officers found a makeshift cold room equipped with a security camera. 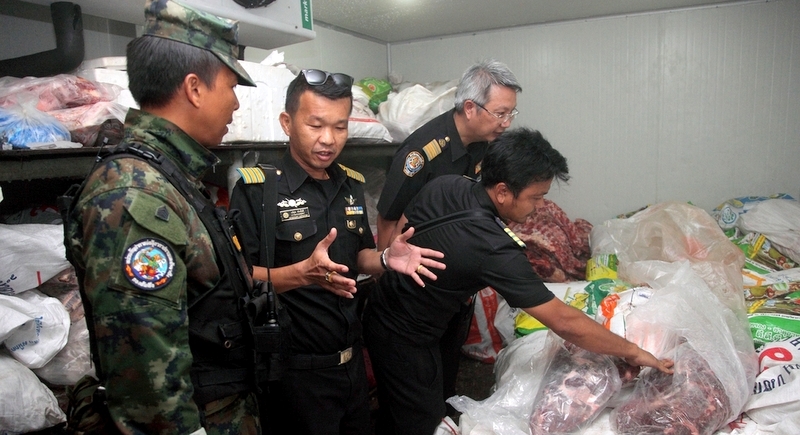 With no persons home, the Navy personnel forced opened the door, to find an estimated one million baht of meat in sealed bags. However, Somboon Intarat, 55, soon arrived home to find his stash had been raided. Mr Somboon presented officers documents that he said proved his meat import business was legitimate, but officers said they had yet to confirm that the meat was imported from countries that he had permits for. Although placed under arrest for suspicion of illegally importing meat into the country, Mr Somboon has yet to face any formal charges. 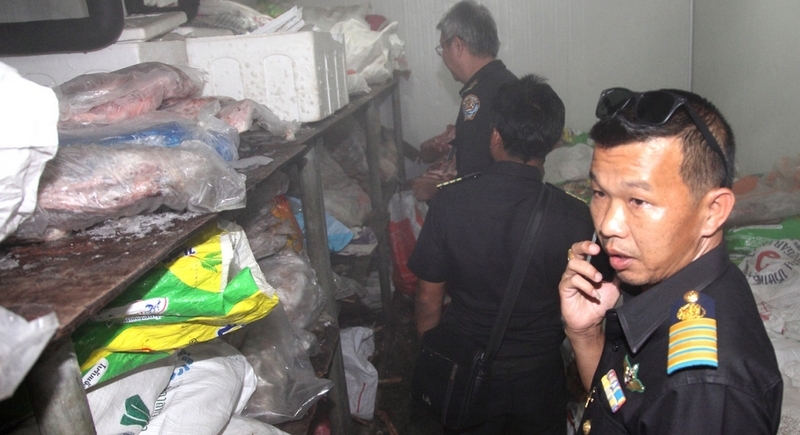 Officers leading the raid told The Phuket News that they expect their investigation into the origin of the meat found to take at least 10 days.